can anyone plz tell me how's the touch of this mobile?? does the touch screen work fine or is it like other touch mobiles in which we need to press hard to select anything?? is it difficult to slide the pictures?? 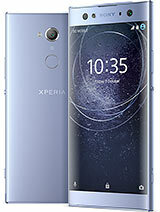 i have bought this phone recently..
but i can't update via computer,,shoes it has the latest version.. But checking update via phone says"new software avl,,use computer for update"..
can my experia x8 at upgrades android sys. 2.1..??? Should I buy the Sony Ericsson X8 or A LG optimus Gt540 ??? if I can get the Optimus 30 pounds cheaper? great phone, just bought mine last week..
*it can play .jar files via 3rd party installer. *has movie playback; being a touch phone it can go to any part of the movie in an instant.. and NOTE i've discovered that "you can watch AVI files" how? just download .avi capable video player from Android market. *You can customize Widgets and Icons.. change and arrange/position/location etc. *the default music/audio player doesn't have an editable playlist "but" you can download another player from android market that suits your need. *3.2 cam.. I believe it's the standard, there are some noise on the picture but clear enough for printing the size of an A4. *sometimes the screen won't open after locking the phone and I have to reset the phone, when I say reset meaning open the back and re-insert the battery..wait hear me "sometimes" happens twice and don't know why, maybe because of the battery I guess?? not too good but isn't so bad either.